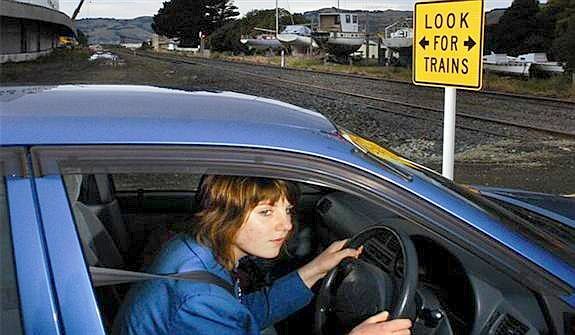 Obey the warning signs and look carefully in both directions for trains. Listen, be aware and pay careful attention to your surroundings. Always ensure there is space on the other side of the crossing for your vehicle. wait for the lights to stop flashing and the barrier arms to lift before entering the crossing. Above image and information from the web site.